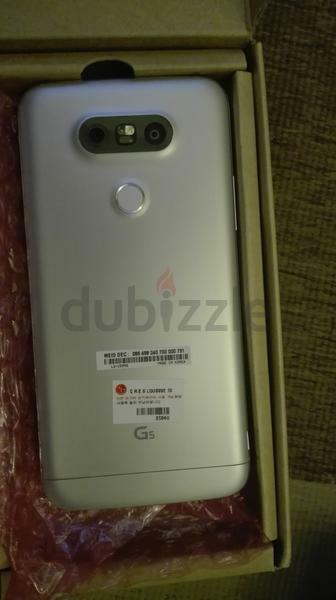 A listing on a reseller site out of Dubai has provided a few unique, close and personal photos of the LG G5. Until today, we have seen the device in various cases and a dummy box, but this is the first time we have seen the phone sans all hardware protection. Listed as an import from the US ahead of official launch, the price was set at AED 2,500, which converts to nearly $700 in the US. Since then, the listing is not available, although, a cached version of it can still be viewed on the web. Thankfully, before it was gone forever, someone was able to snag all of the photos and place them on imgur for our viewing pleasure. As we can see from the two photos, the G5 features the dual rear-facing cameras we expected, as well as a fingerprint reader. However, as already detailed, the volume rocker has been moved to the side of the phone. As for the front side, there is not much to detail except for the apparent lack of a secondary ticker display, which was previously reported to be featured. It should be noted LG has stated that the G5 will feature an always-on display, basically dispelling any notion that we should expect a secondary display for this functionality. In the photo that shows the backside, we can make out what appears to be a button of some kind near the bottom portion on the side. If the reports of a modular G5 are to be believed, then this could be the button that releases the battery compartment from the device, allowing folks to replace the battery as they see fit. 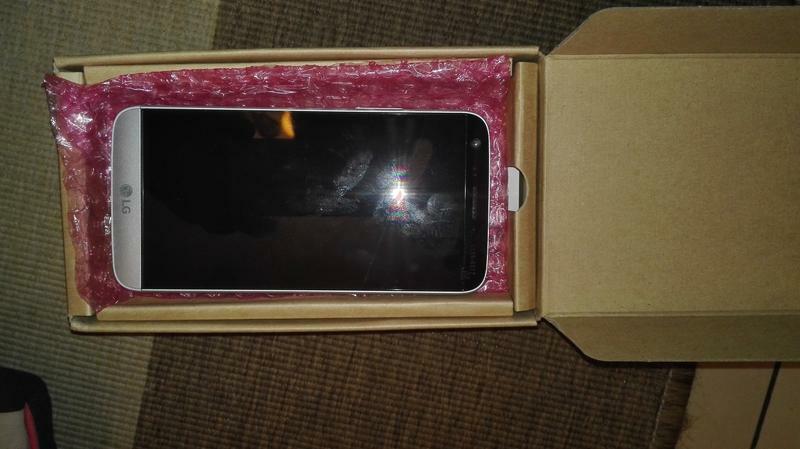 Photos are not always the best means of portraying a smartphone’s build quality, but this G5 does appear to feature an aluminum casing, and not plastic as we have seen from LG in the past. So far, many of the reports we have heard about LG producing a very premium device for 2016 appear to be accurate. Do these images make you more excited for the G5?